Today is the Vigil of the Feast of St Edmund (20 November), when the Church celebrates the martyred king of East Anglia (and traditional patron saint of the English people) who was slain by Vikings in 869. 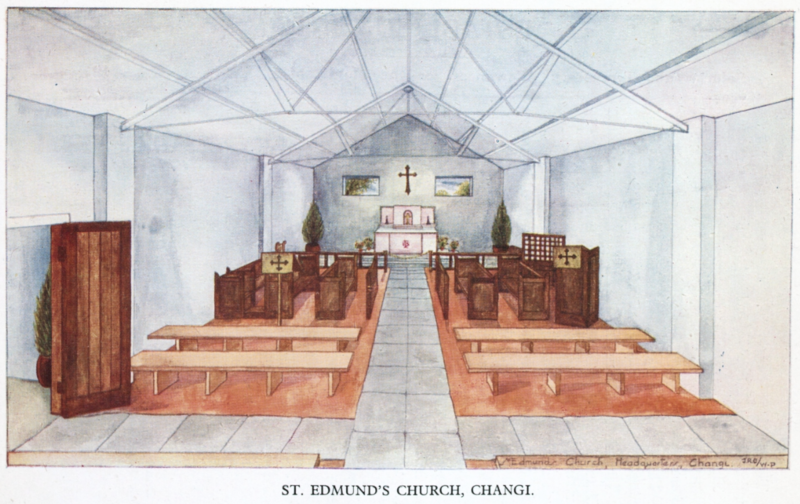 The majority of church dedications to St Edmund are, of course, found in England – but the cult of St Edmund is also a global one, and churches dedicated to the saint can be found throughout the world. My current focus of research for an upcoming article and book is the cult of St Edmund in Ireland, but I also recently wrote about Edmund dedications in Australia. This blogpost provides an overview of churches dedicated to St Edmund beyond England, although much more research is still needed into this global cult. 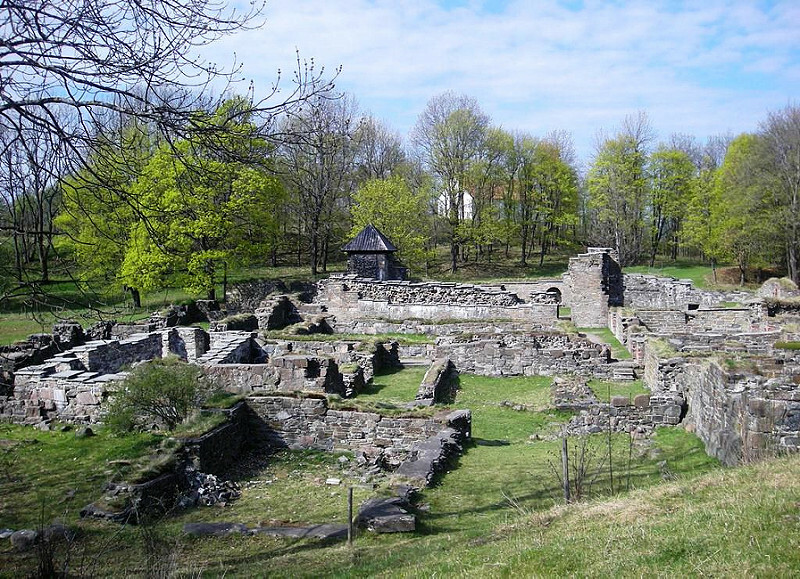 The cult of St Edmund spread beyond England at an early date, with a Cistercian abbey dedicated to St Edmund founded on the Norwegian island of Hovedøya in 1147. 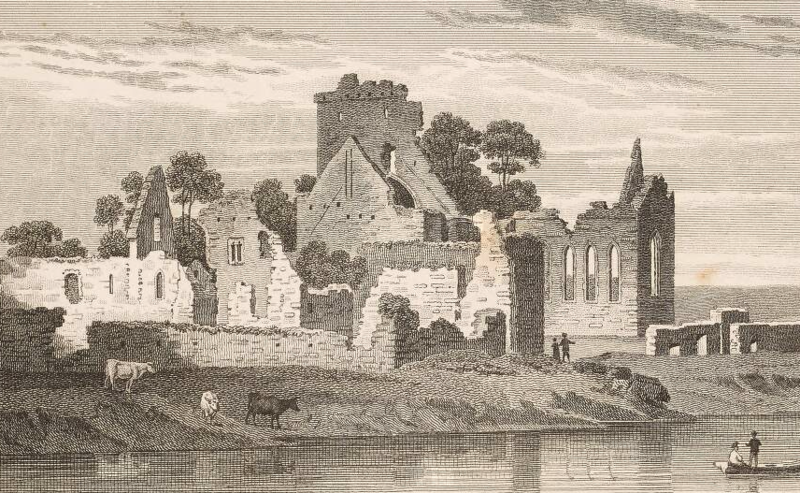 An Augustinian priory dedicated to St Edmund at Athassel in Ireland followed in 1200, while a church dedicated to St Edmund was founded at Crickhowell, Wales in the early fourteenth century. During the course of the Middle Ages churches were dedicated to St Edmund in Italy and Egypt, with several chapels of St Edmund in France, while the Icelandic town of Akureyri boasted a statue of the saint. The Reformation put a temporary stop to the growth of the cult of St Edmund, but missionary societies (both Catholic and Anglican) in the nineteenth century revived interest in the saint and numerous churches were dedicated to St Edmund around the world. In the English-speaking world, in particular, St Edmund was welcomed as a symbol of an ‘Englishness’ that people in North America and Australia were keen to perpetuate. While Australia has 4 churches dedicated to St Edmund, Canada boasts 11 (several of them, surprisingly, in French-speaking Quebec). 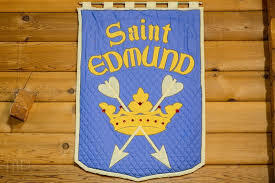 In the USA, there are no fewer than 14 churches dedicated to St Edmund, with one each in the states of Alabama, Delaware, Florida, Illinois, Maryland, Michigan, New York, Pennsylvania, Wisconsin and Wyoming. California and Louisiana have 2 St Edmund’s each. 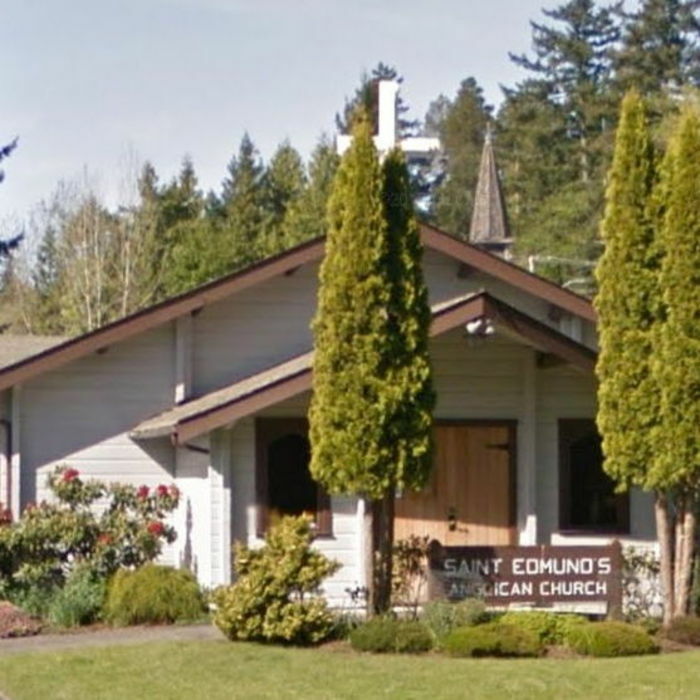 In Asia, Malaysia has 2 churches dedicated to St Edmund, while Africa has 2: one in South Africa and one in Nigeria. 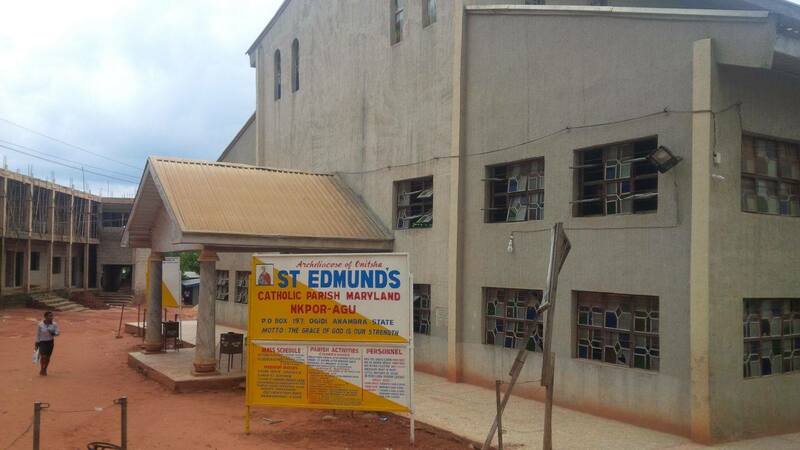 St Edmund’s church in Nigeria was attacked by the Nigerian army in June 2016 and several worshippers killed. 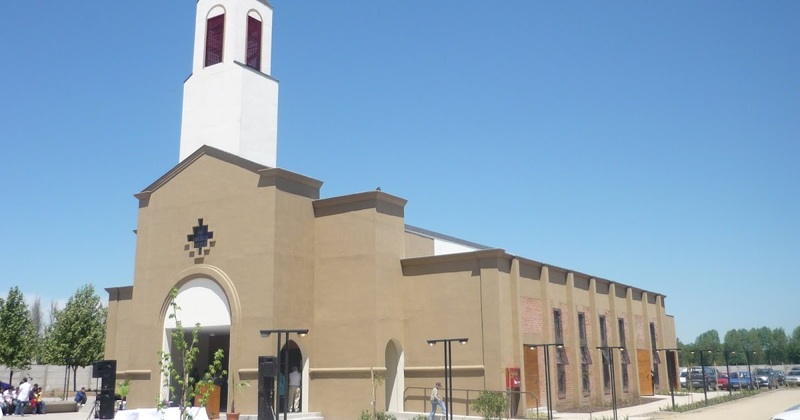 Perhaps the world’s newest church dedicated to St Edmund is the huge church of San Edmundo Rey y Mártir built at San Bernardo, Chile, in 2009. As far as I am aware, this remains the only church dedicated to St Edmund in South America. The spread of church dedications to St Edmund beyond the English-speaking world is especially intriguing, since it cannot always be attributed to the influence of the British Empire or English missionaries. Sometimes church dedications do not primarily commemorate a saint, but rather take the name of the saint after whom someone else was named, such as a major donor or beloved pastor. But this in itself is testament to the global reach of St Edmund – the fact that the personal name Edmund (in its many variants) exists in so many languages and has reached so many countries. Of course, there is not just one St Edmund – I have excluded here, as far as possible, churches dedicated to St Edmund Rich, Archbishop of Canterbury, but in some cases churches do not specify the Edmund to whom they are dedicated. In these cases, the original St Edmund, king and martyr would seem the most likely dedicatee. 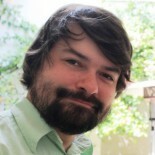 This entry was posted on November 19, 2018 by jacobite.